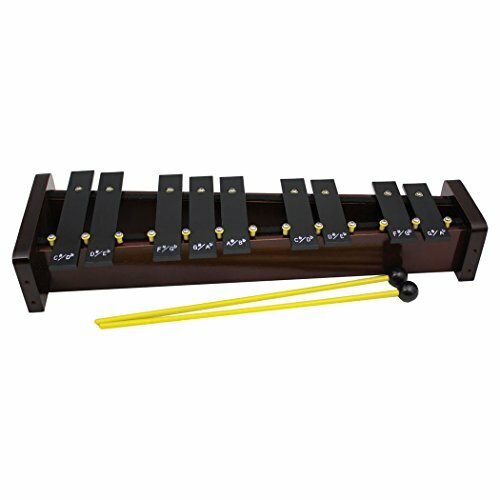 "This Percussion Plus 9 note chromatic half glockenspiel is built specifically with primary and secondary music education in mind. It is designed to locate with PP1130 to give a full chromatic instrument (black and white notes). The instrument is incredibly well built with solid steel bars mounted on a very durable wooden frame. The tuning is incredibly accurate too which makes these great for ensemble playing. " If you have any questions about this product by Percussion Workshop, contact us by completing and submitting the form below. If you are looking for a specif part number, please include it with your message.